When caring for a friend’s Yorkie recently, I found myself setting up a box next to my bed to give him a step for jumping up on the bed (he still had hops, but one eye wasn’t so good, so he was afraid to try it when the room was dark). I wanted a small stair step that I could easily tuck under the bed during the day. 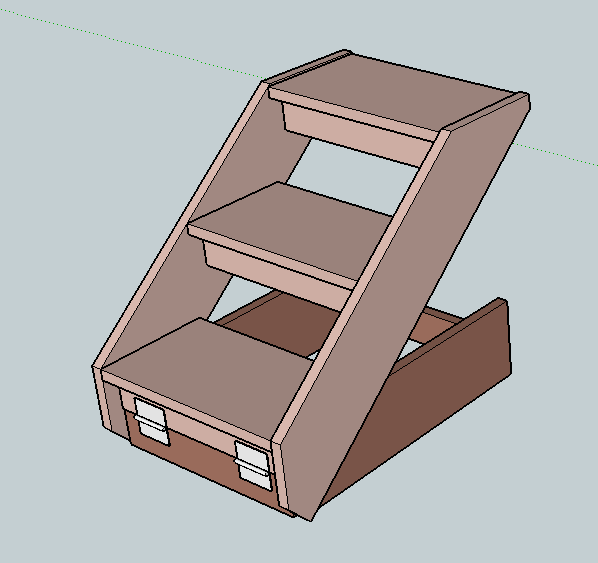 This step folds flat, needing only 6″ clearance to slide under the bed. It folds out, not on top of itself, so it’s almost 4′ long when folded flat, but that will still fit easily under a standard full size bed. 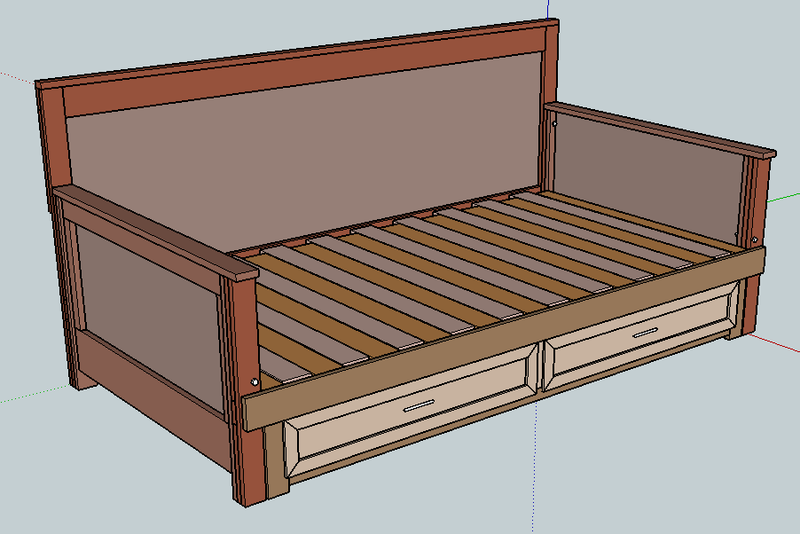 This daybed has a pull-out section to increase the width to a queen size or larger. The basic design is similar to the Hemnes brand daybed, but there are some notable differences. This bed extends up to 33″ for a total width of 72″, which is wider than a queen, but not as wide as two twins. You could use it with a full size foam or futon mattress, or get a combination of a twin, and a “single” or “bunk” mattress that measures 30″ to 33″ in width. 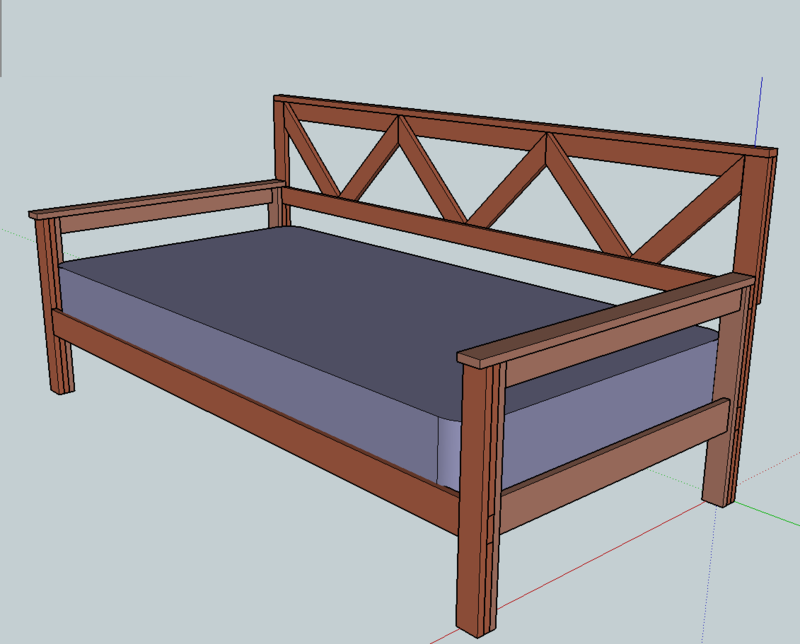 This daybed design uses simple 1×3 construction. It can be disassembled into 5 sections using 6 bolts. 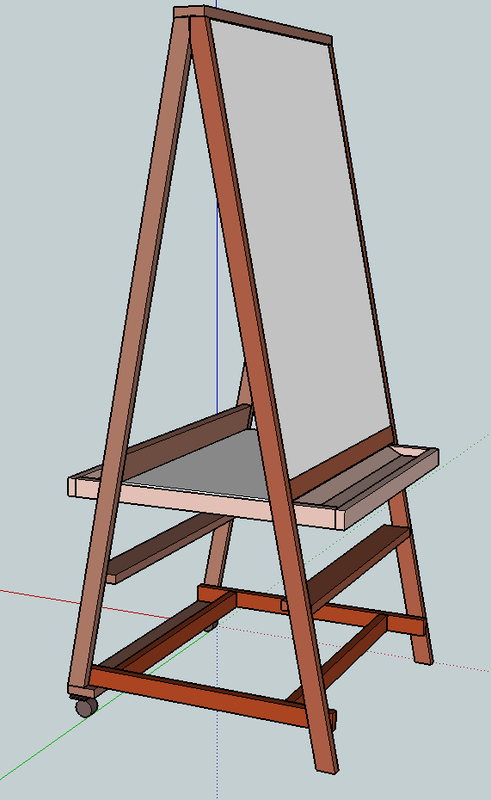 This teaching easel was inspired by an inquiry on ana-white.com. I had several priorities in mind as I was designing this. A couple of considerations came into play in the effort to control costs. First, the overall width was determined by the availability of whiteboard and other materials in 24″ widths. Second, all of the lumber is 1×2 or 1×3, which is the least expensive, and gives you the option of using the super-cheap furring strips. Third, it uses only 2 wheels, which also makes it stable, since two of the feet are solid. It can be easily moved by lifting the side with the solid legs, and it’s stable as soon as you set it down without needing locking wheels. 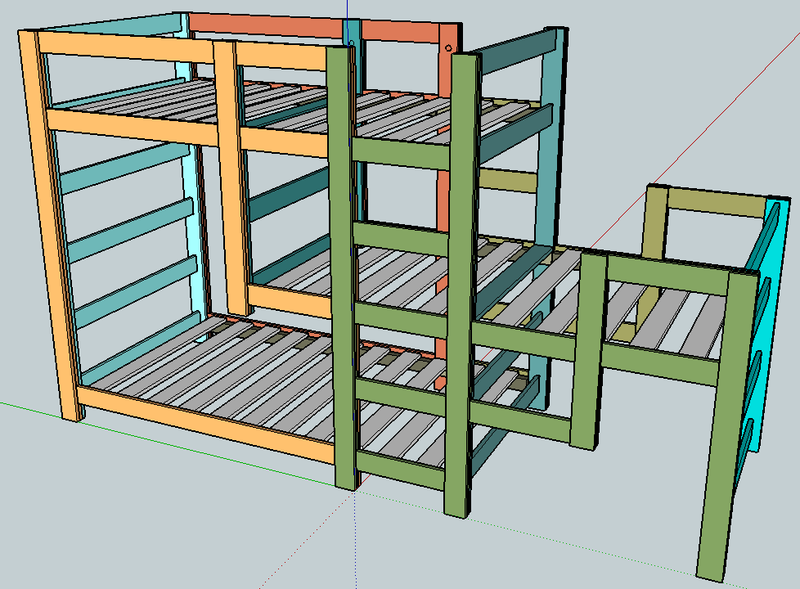 This Triple Bunk Bed plan is a staggered design with the middle bunk offset. This allows it to fit under the common 8 foot ceiling height without compromising head room, by assuming half of the bed is for the footer and does not require as much height. Despite the overall size of the project, it uses very simple construction methods. All cuts are right angles, and all screws go strait through flat surfaces. The biggest challenge is getting everything square, and simply getting all of the pieces organized for assembly. Common saws used by the do-it-yourself furniture builder range from simple hand saws to several types of power saws. Cross-Cut saw: This is the classic hand saw that is most recognizable. Intended for cutting across the grain, it is suitable for many all around uses. A Rip saw is similar, but has a different shape of tooth, intended for cutting with the grain. The DIY label could apply to a wide range of skill levels. From simple assembly to handcrafted furniture, there are many level of experience, tools, and working space required. This site is intended for those in the middle range. For those that are happy with particle board construction that only requires a screwdriver, this site is not for them. There are many stores, including a large Scandinavian furniture store with a confusing layout, that can serve their needs nicely.